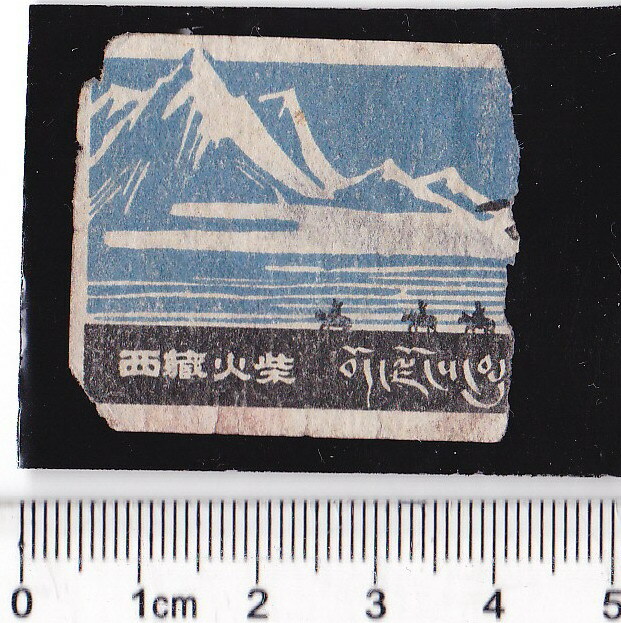 XZ750, Early Tibet Paper Matchbox Label, 1 Pcs 1960's. 1 pcs in poor condition. Please refer the picture. This maybe the one of the earliest matchbox label of Tibet. Printed in Tibet in 1960's. 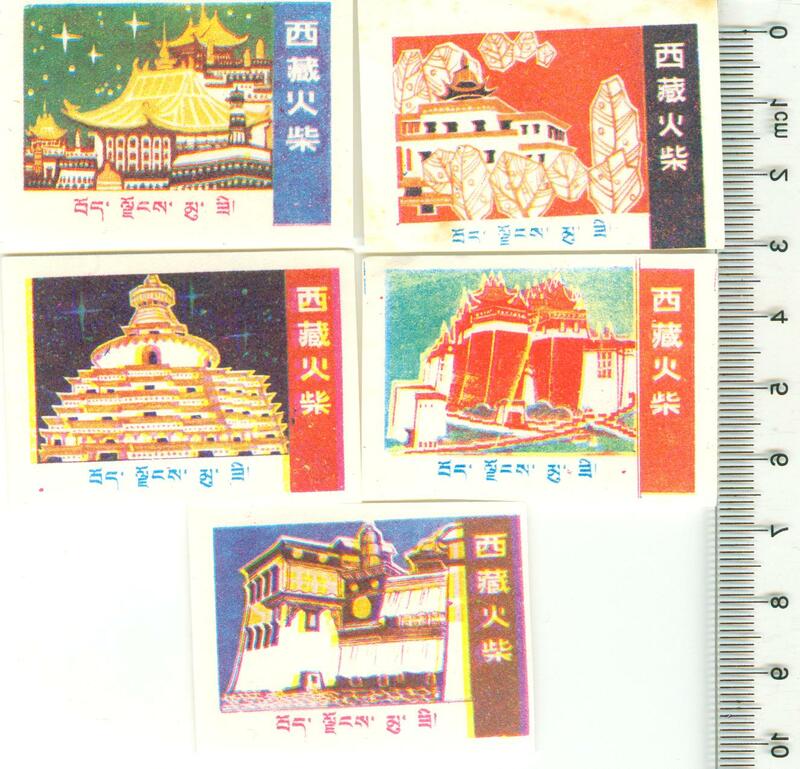 XZ751, Early Tibet Paper Matchbox Label, Set of 5 Pcs 1980's. 5 pcs in VF condition. Please refer the picture. This is the earliest matchbox label of Tibet. Printed in Tibet in 1980's. 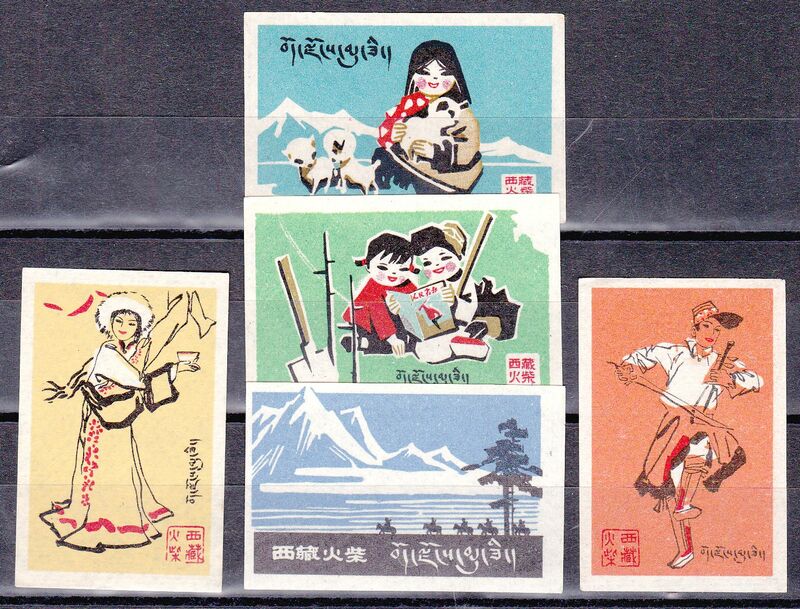 XZ760, Tibet Paper Matchbox Labels, 4 Pcs 1990's. 4 pcs in good condition. Please refer the picture. Including local girl, mountain, labels and houses. Printed in Lhasa in 1990's. 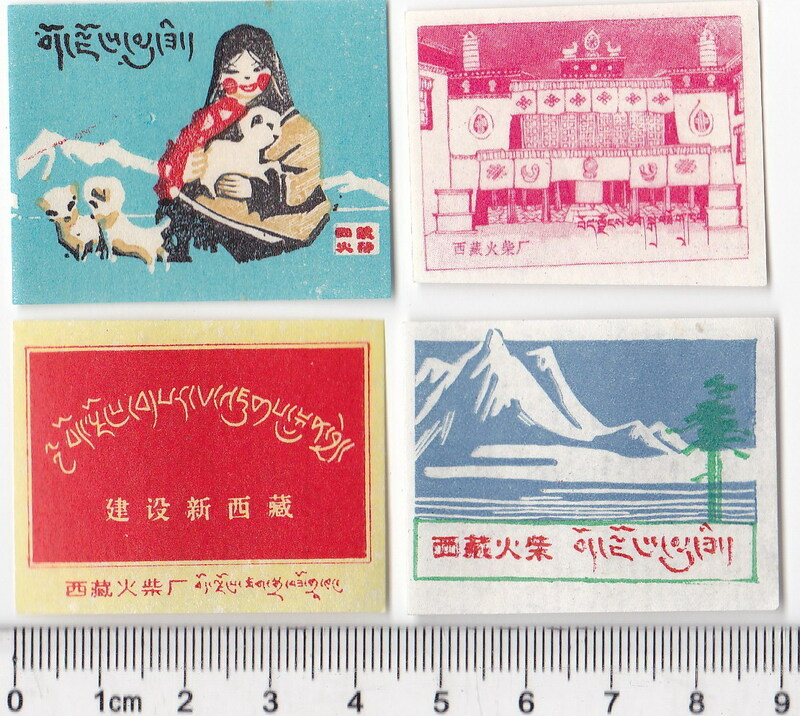 XZ761, Tibet Paper Matchbox Labels, 5 Pcs 1990's. 5 pcs in good condition. Please refer the picture. Printed in Lhasa in 1990's. 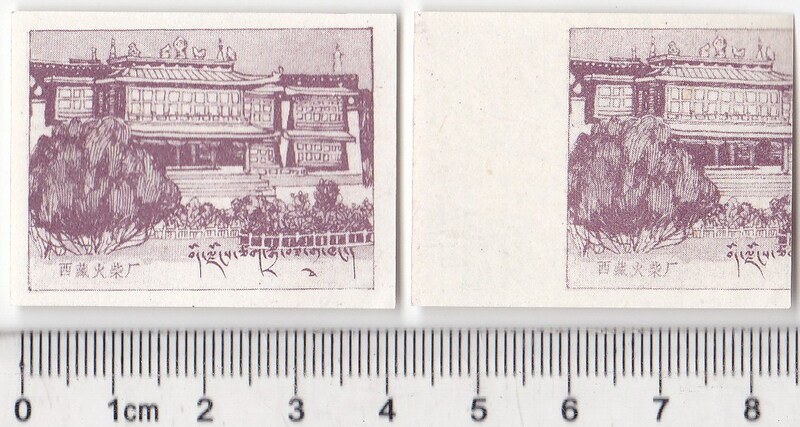 XZ762, Tibet Paper Matchbox Label , 1 Pcs Error, 1990's. 1 pcs in ERROR good condition. Please refer the picture. Printed in Lhasa in 1990's. Tibet Architecture. 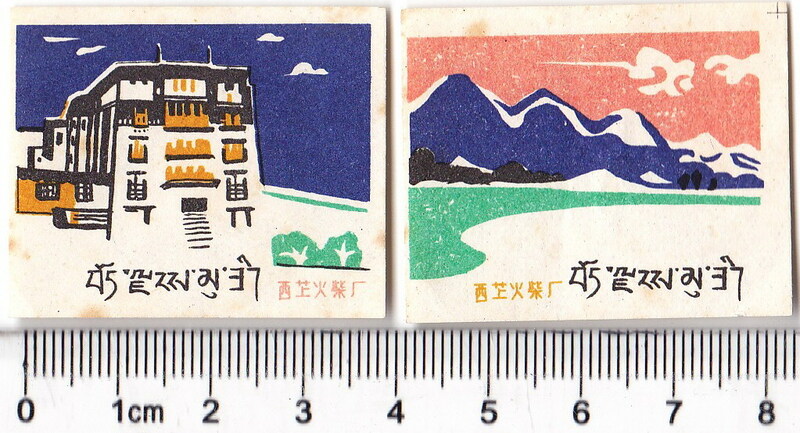 XZ763, Tibet Paper Matchbox Labels, 2 Pcs 1990's. 2 pcs in good condition. Please refer the picture. Printed in Lhasa in 1990's. 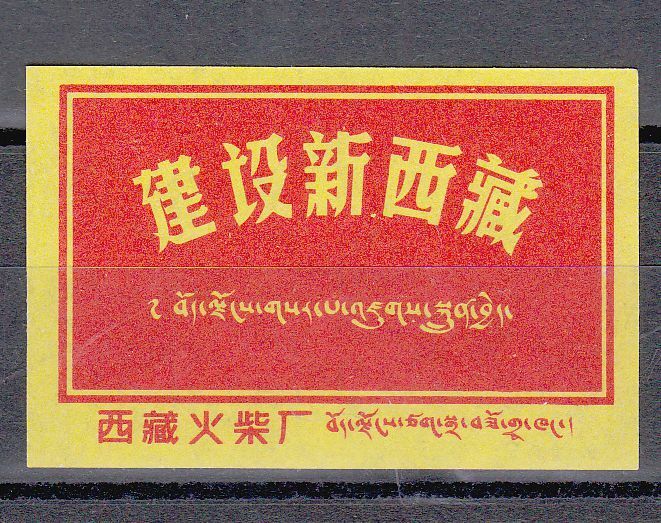 XZ764, Tibet Paper Matchbox Label 1 Pcs, "Build New Tibet" 2000. 1 pcs in good condition. Please refer the picture. With the slogan of "Build New Tibet". Printed in Lhasa in 2000.